Children generally do not mind how tidy their bedroom, nursery or play­room is – it is only you who cares, so tidy it yourself if you want it to look nice. It is better not to force small children to help tidy, or it may put them off doing it when they get older. 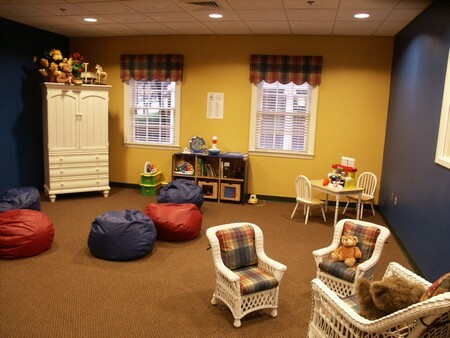 When children are young, the floor space should be kept as clear as possible for them to play in. Only take out a few different toys at a time, rather than their entire toy collection, or they will get bored with everything very quickly. As long as you change toys every day, a few toys will keep their interest for a long time – and there will not be so much clearing up at the end of each day. As children grow older and collect more possessions, they need more storage space and furniture, such as a desk and chair on which to do their homework. Plastic and wooden toys of children up to nine months old should be washed once a week in a mild disinfectant so­lution. Soft toys should also be cleaned regularly; follow manufacturers’ care instructions. Cleaning toys also gives you a chance to check that they are still safe. Baby equipment, such as high chairs and reins, should also be kept meticulously clean and safe. Wash children’s bedding and night-clothes every few days. Wash those of bed-wetters every day. Keep the nappy-changing area clean and tidy and store any medical supplies out of reach. Keep a special bucket with a sterilizing solution in the bathroom for towelling nappies, which should be washed daily, and throw disposable nappies immediately in the wastebin or burn them. If your child uses a potty, keep it in the bathroom and wash it with a disinfectant solution after use.